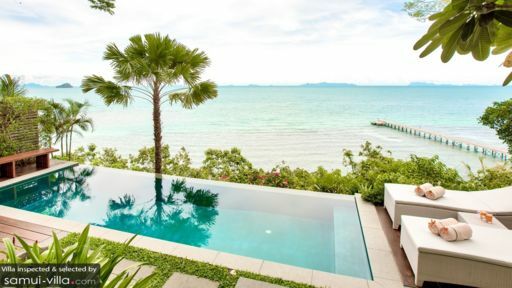 With its laid back, tranquil vibes, West Samui is a region for travellers seeking a getaway from their getaway. Its remoteness is its attraction; while the area may not offer much in terms of entertainment, it offers respite away from the bustling tourist hotspots of the island. Families and couples in particular appreciate the region’s quiet charm and lack of tourist crowds. 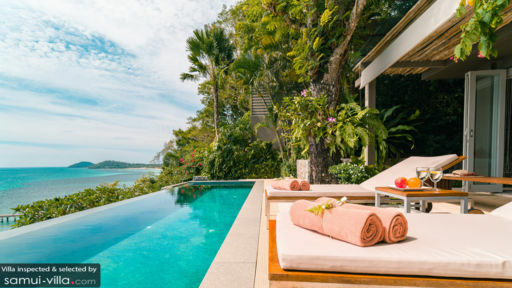 Your West Samui villa comes kitted with all the essentials you’d expect of a luxury property: personalised service, state of the art amenities, prime hillside setting and postcard-perfect views. We have a wide-ranging array of vacation rentals to suit a variety of holiday needs, whether you’re looking for a romantic one bedroom villa, or a majestic estate to accommodate large group getaways. Planning a destination wedding or corporate retreat? Reach out to our travel consultants, and we’ll find you a property that checks off all the right boxes on your list. The main draw on any tropical island is the beach. At this part of the island, vacationers flock to the beaches of Taling Ngam and Lipa Noi to soak up its relaxed ambience and picturesque landscape. While the beaches are great for beach strolls and sunbathing, the waters in the region are affected by tides - so do check in with your villa manager if you’re intending to take a swim. 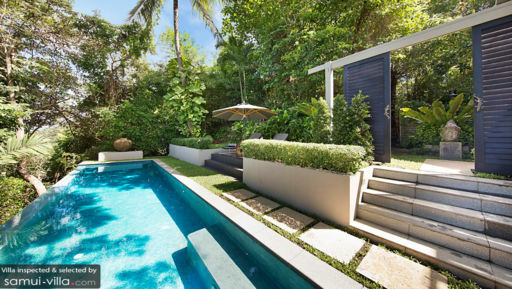 Away from the coast, there’s yoga, Thai massages, night markets and cultural sightseeing. While in-villa yoga classes may be arranged, vacationers who prefer a group setting may sign up for drop-in classes at Marga Yoga or Orion Retreat Centre. Baan Thai Spa by HARNN is our to-go venue for top-notch spa experiences, and we’d absolutely recommend Nathon Night Market for vacationers looking to discover the local food and shopping scene. When you’re not relishing incredible in-villa dining experiences, you’ll be seeking out the top picks in West Samui’s dining scene. Venues like The Five Islands and Jahn Restaurant are our foodie favourites for fine dining, and we’d suggest Air Bar or Nikki Beach Club if you’re looking for a stylish hangout to enjoy a nightcap. You’ll find some of the freshest catches at Thongkrut Fisherman’s Village - that’s saying a lot, considering that Samui is an island where sumptuous seafood feasts are the norm! Feel free to reach out to your villa manager if you need help with planning your day trips - whether it’s booking tours, mapping out your itinerary or arranging for private driving services. Cultural attractions located within the vicinity include Khao Chedi and Laem Sor Pagoda, while the iconic Big Buddha and colourful Wat Plai Laem are slightly over an hour’s drive away. The stunning Ang Thong Marine Park, an archipelago of 42 islands is a popular offshore attraction for sunbathing, swimming, kayaking and snorkeling. To visit the attraction, you’ll need to book speedboat rides departing from Nathon Pier. West Samui isn’t known for having a vibrant beach ambience or nightlife scene; unwinding slowly into the night is the way of life here. But you’re never too far away from a great party - just hop into a car for a 30-minute ride to Lamai Beach, where a night of revelry awaits!